Gangtok is a city located in the Sikkim province of India, within the Himalayas. 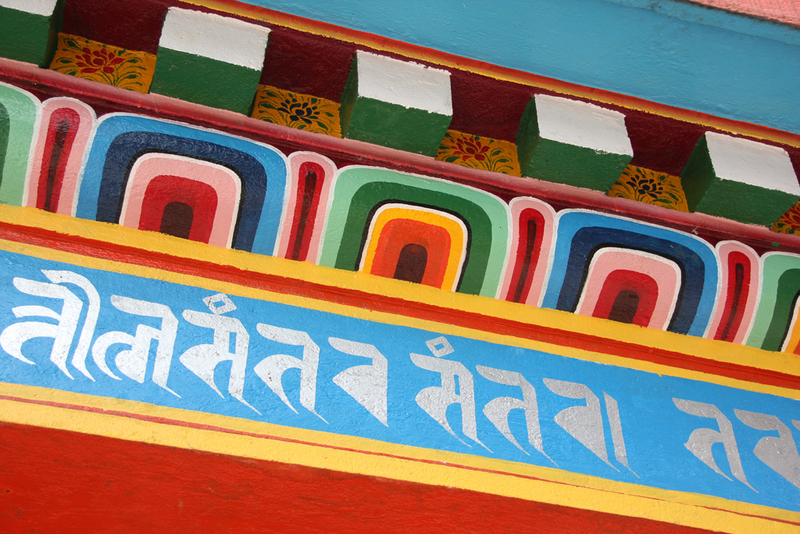 In the far northeastern portion of the country, the province is in between Tibet, Nepal, and Bhutan. 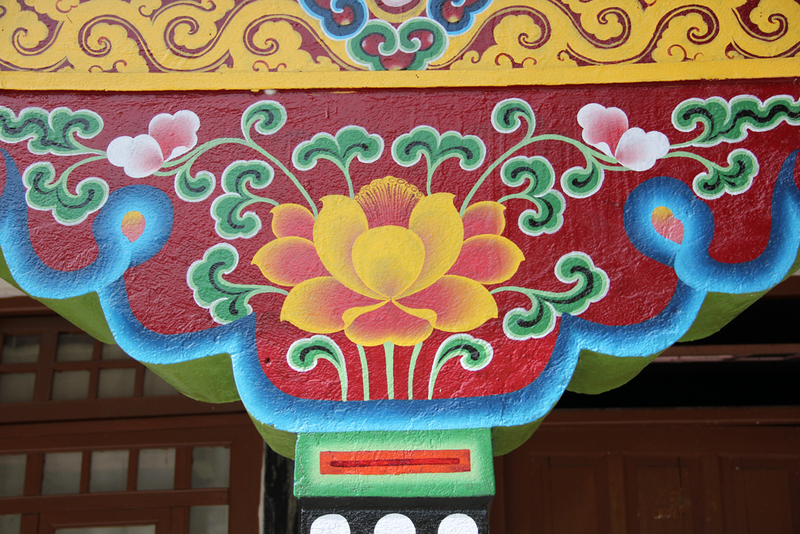 From the small city of Gangtok, it was about a 45 minute shared jeep drive, followed by a 15 minute up-hill walk to get to the Ranka Buddhist Monastery. 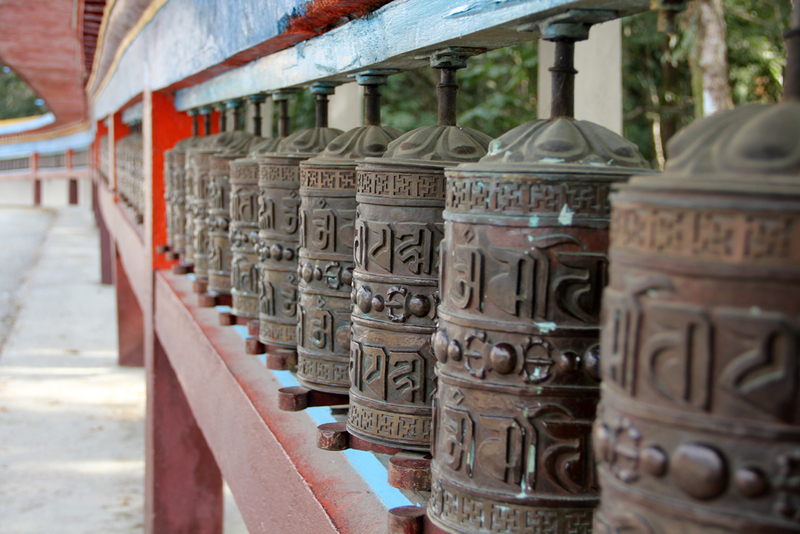 On the peaceful side of mountain we finally arrived at the monastery and were greeted by Tibetan prayer wheels leading to the entrance. 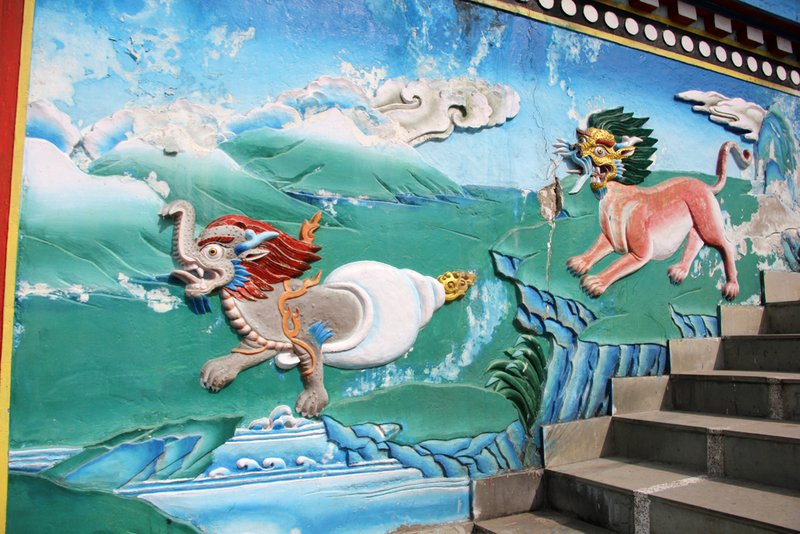 The brightly colored paintings and murals on nearly all walls were amazing to see. Busting a kung fu move! 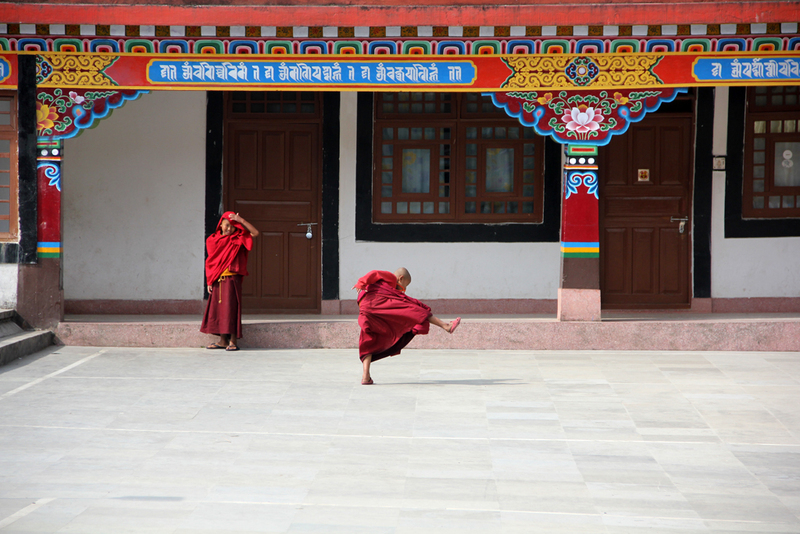 These young monks were practicing their kung fu moves as they playfully made their way to the mess hall for lunch. Boys have energy, no matter what country you visit! While walking around I spotted another young monk, resting over the ledge while enjoying the warm sunshine, despite the air outside being quite cold. I think he was trying to skip out on an official event, because it wasn't long before an older monk yelled at him to come. 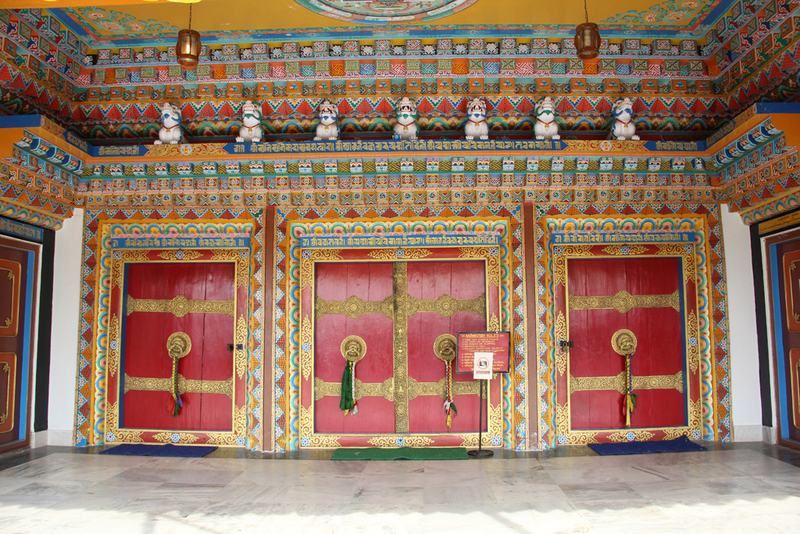 When we arrived, the main temple doors were closed, but after asking a monk, he politely got the keys and opened the doors to let us in. 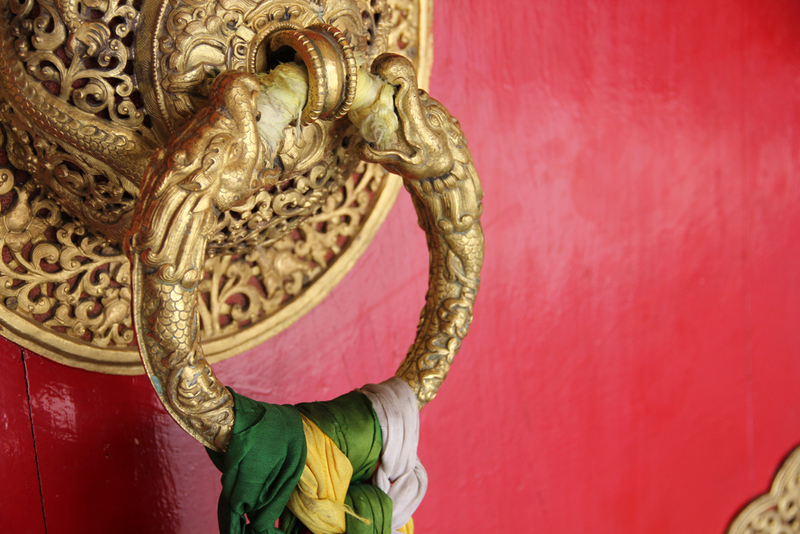 The details of the Ranka Monastery were incredible; here's a close up shot of the handle of the temple doors. 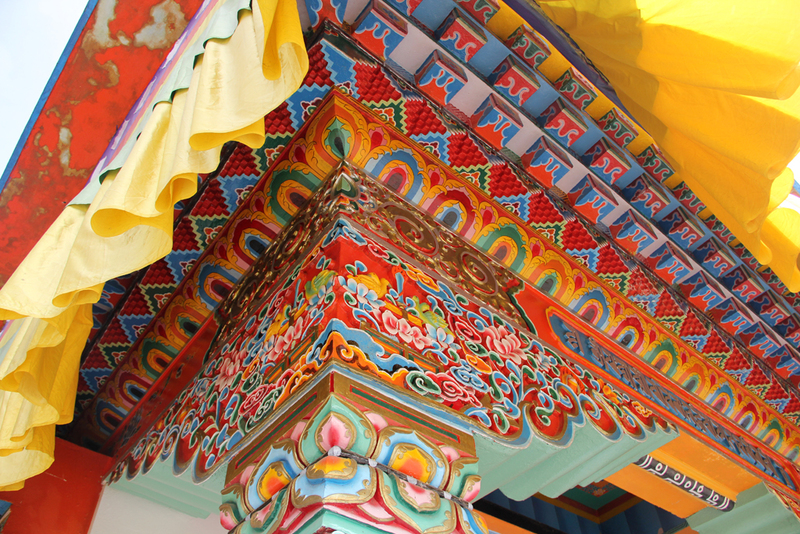 Unlike many of the Thai Buddhist temples (Theravada Buddhism) which are mostly brown and gold in color, Tibetan Vajrayana Buddhist temples are extremely bright and colorful. Again, the colors were remarkable. Here's a photo of one of the major pillars just outside the door of the main temple. 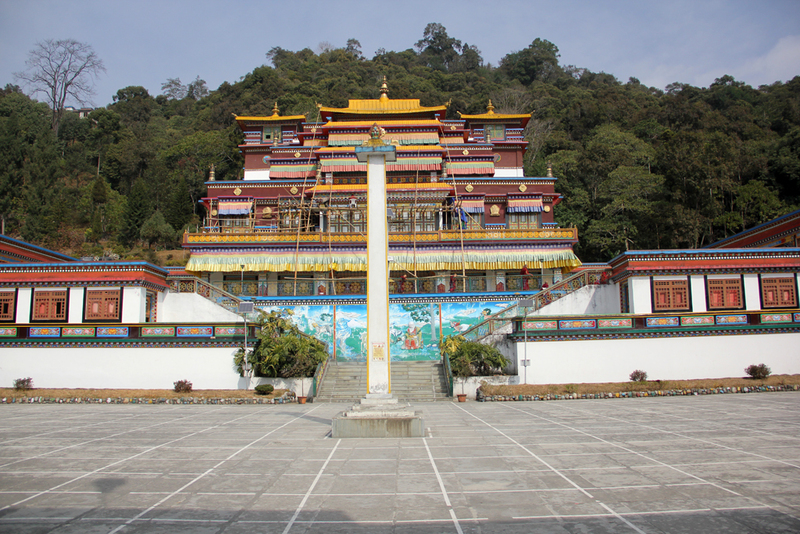 Visiting the Ranka Monastery was a refreshing experience and made a great day trip from Gangtok. Sikkim is great place to go, can be remote at times but its a fascinating place. 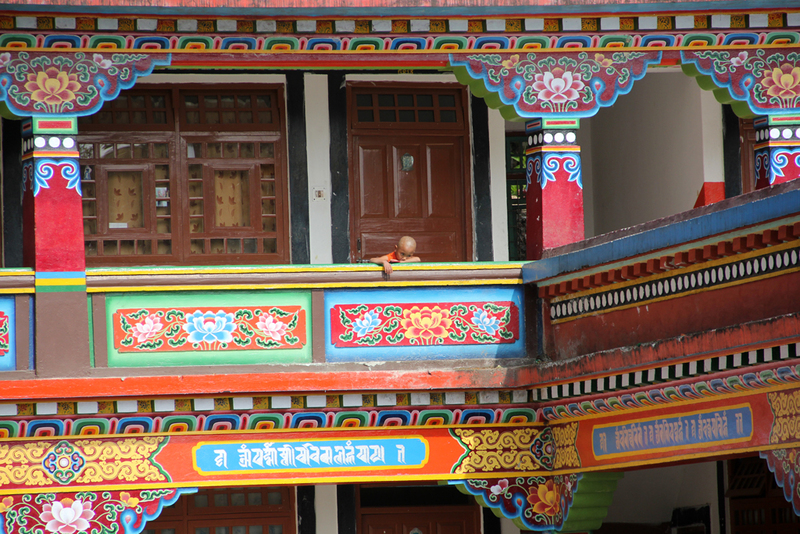 Great photos of the Ranka Monastery. great photos, i love the l’il monks playing and practicing Kung fu.. i have even heard that the origin of kung fu was in India..
Love these photos…so colorful and so many beautiful details. The kung fu kid got me to giggling; wish I’d seen that!